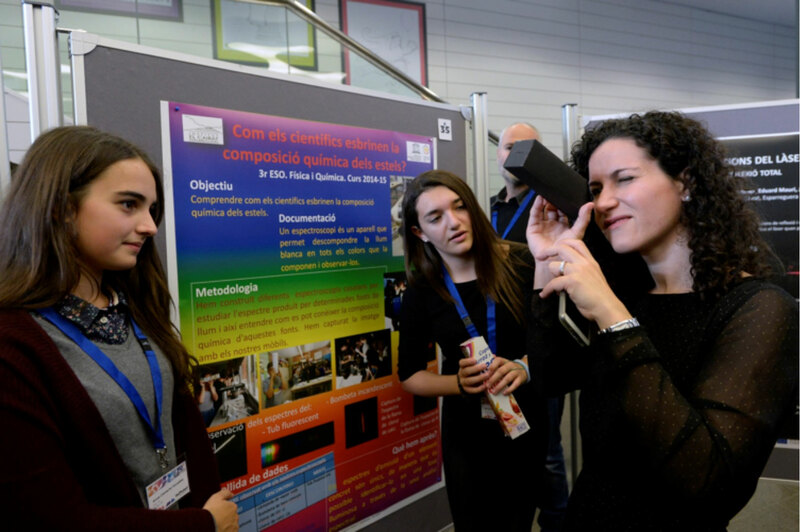 ICFO annually organizes the Young Photonics Congress, a meeting point for young students that makes them live the experience of a scientific congress where the spotlight is on them. 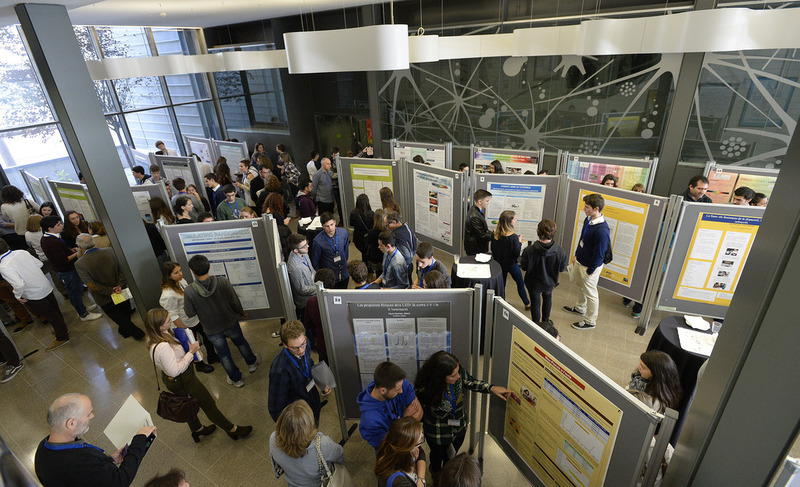 Students can explain their work to other students and also to ICFO researchers. It is a fantastic occasion to share knowledge and experiences with other people who share the passion for science. The Young Photonics Congress is organized by ICFO with the support of the Fundació Catalunya – La Pedrera • Ignacio Cirac Program Chair. The next edition of the Young Photonics Congress will take place in the morning of March 15, 2019 at ICFO. Here you can find the posters from the past editions of the Young Photonics Congress. High school students (ESO, bachillerato and formative cycles) can submit their research projects about light, photonics or other ICFO research topics. Projects can be individual or by a group of maximum 5 people. You must submit a research project related to light or the other topics mentioned above to participate to the Young Photonics Congress. Sections: title, authors, introduction, materials and methods, results, conclusions, bibliography and acknowledgements. Language: you can choose among Catalan, Spanish and English. Take into account that the majority of ICFO researchers come from abroad, so it’s possible that they understand English better than the other proposed languages. Format: we need a pdf file with good resolution. When designing the poster, think that we’re going to print it in A0 format (841x1189 mm) and in portrait orientation. We will confirm the participation to the congress to all the people who have submitted a project at the end of the month of February. How do I design a scientific poster? A scientific poster is a visual support for the presentation of your project: you don’t need to put in too much text, as you will be at the side of the poster to explain it with all the words you need. Think of the poster as an ice breaker to open a conversation with the participants to the congress. For this reason, it is important to select carefully the information you are going to put in the poster and also think how to organize it graphically. 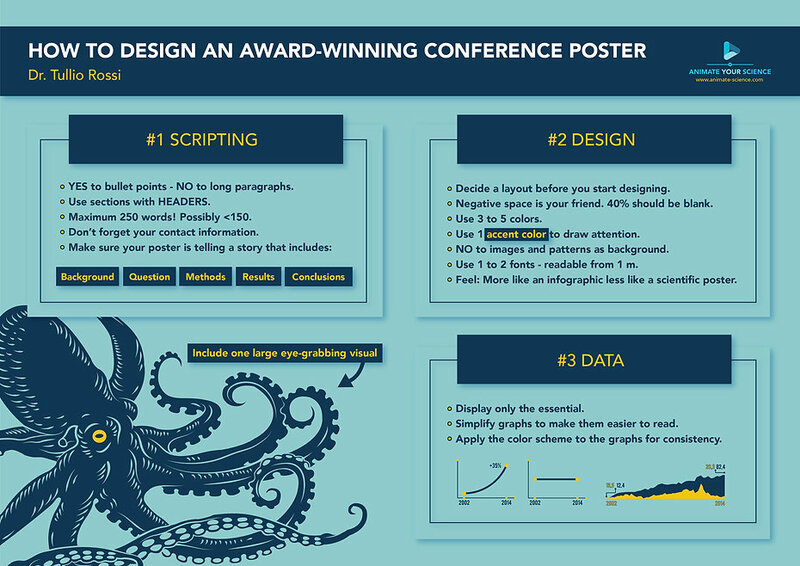 In the picture (large version here) you can find some useful advice to design an effective scientific poster. You can also have a look at the posters of the past editions as a reference. What happens on the day of the Young photonics congress? The Young Photonics Congress will take place at ICFO (Av. Gauss, 3 – Castelldefels) in the morning of March 15, 2019. It will start with a short introduction to the institute followed by short talks by some ICFO researchers about their research topics. 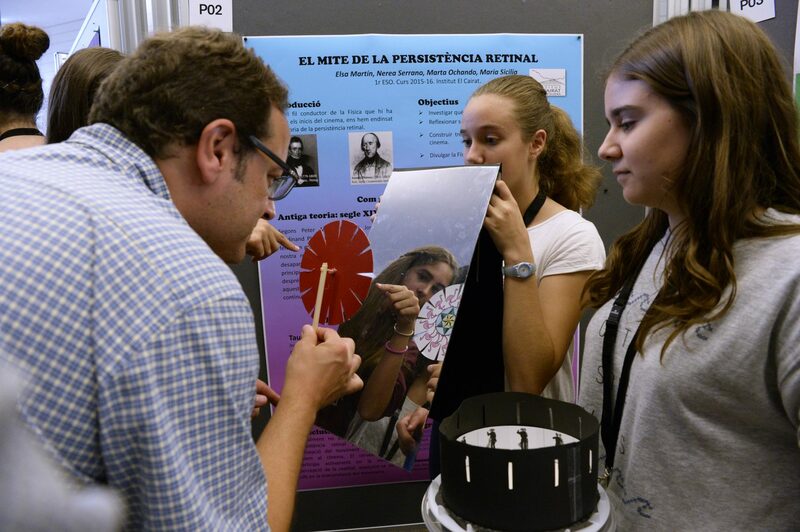 However, the most important moment of the Young Photonics Congress is the poster session, where the participants will have the occasion of explaining their work to the attendants and the ICFO researchers. We will take care of printing all the posters, so that you only have to worry about your presentation and about enjoying the event. Can I participate without presenting a poster? The Young Photonics Congress is open to everyone, but there is limited space. We give priority to the people presenting a poster, but you can sign up to the waiting list. We’ll confirm your attendance to the congress towards the end of February 2019. Are there any project proposals for people who want to participate, but they haven’t any project yet? At ICFO, we have a program dedicated to research projects (like the treballs de recerca) for young people: you can have a look there if there is any activity that picks your curiosity. You can also have a look at the posters from the past editions of Young Photonics Congress, to see if any brilliant idea comes across your mind: we look forward to hearing about it from you in the next Young Photonics Congress. Can I receive any updates or reminders about the Young photonics Congress? Of course! You just have to sign up to the ICFO Outreach mailing list, if you haven’t done it already. If you have any more doubts, just send us an email.